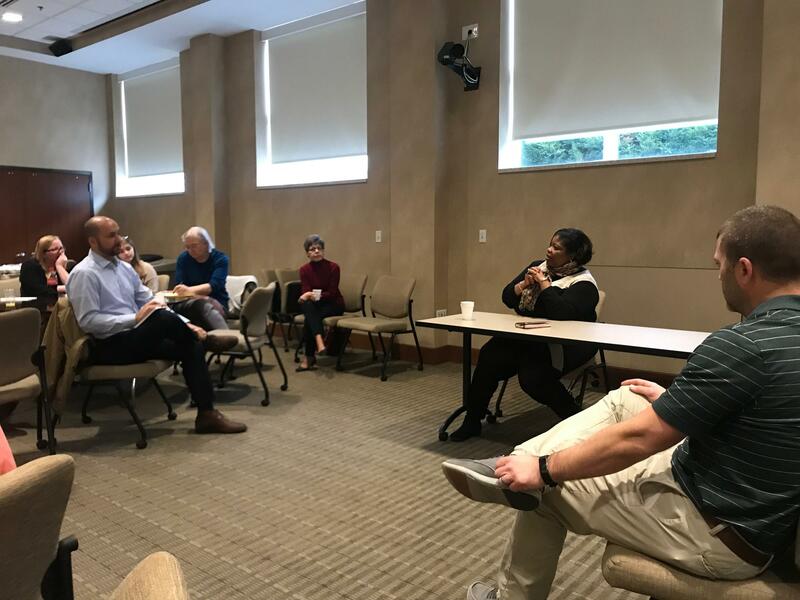 Members from different housing committees discussed Friday morning how they will address affordable housing in Columbia’s new strategic five year plan starting in 2020. The meeting was a follow-up to last night’s presentation by Dr. Tiffany Manuel, vice president of the Knowledge, Impact and Strategy team at Enterprise Community Partners, which she gave to a larger group of residents and city board and committee members. Manuel gave the members advice on how to move forward with putting a plan in place to make housing more affordable, but she said the biggest obstacle is getting the community engaged. Virginia Law represented the NAACP at the meeting. She said a plan must both be put in place and be successful to prove to Columbia residents the committees related to housing are putting their best efforts forward. “Talk is cheap. I want to see some action,” she told Manuel and other committee members. Randy Cole is the housing programs manager for Columbia. He said that is exactly what these meetings, and future community forums, are put in place to do – get the community engaged, heard and inspired to help the city take action. Cole said the preparation process for the new strategic plan in 2020 will start in January 2019 and the plan will take resident’s perspectives and Manuel’s advice into consideration.